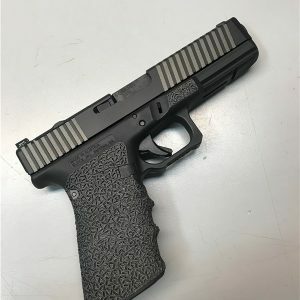 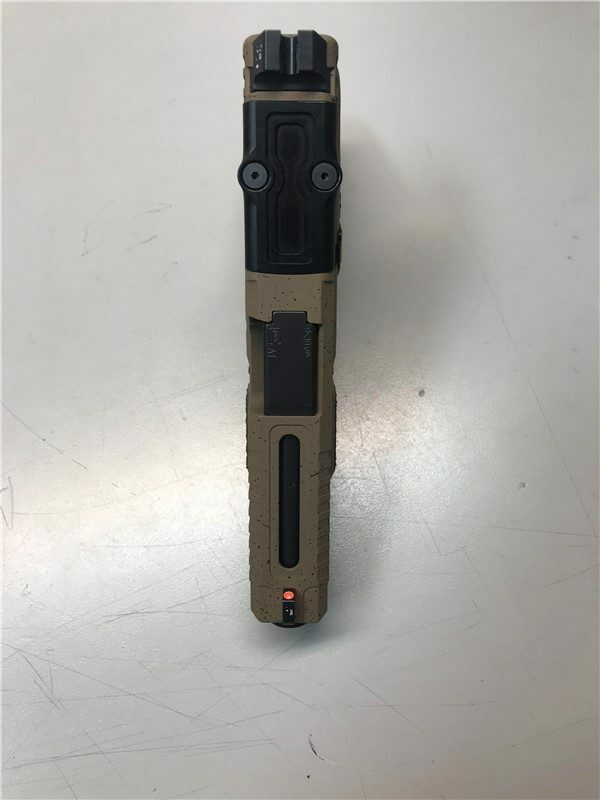 Glock 19 Generation 3, custom built by TMT Tactical. 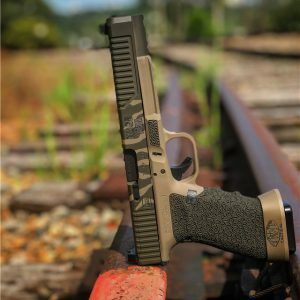 This Glock 19 GEN 3 is a part of the Signature Series of Glock pistols by TMT Tactical. 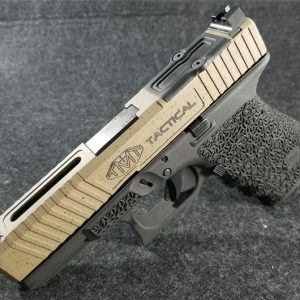 The pistol offers a number of performance enhancements on both the slide and frame. 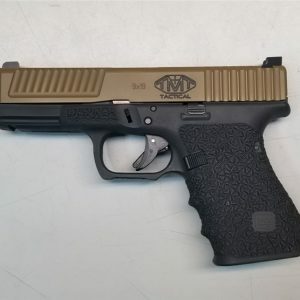 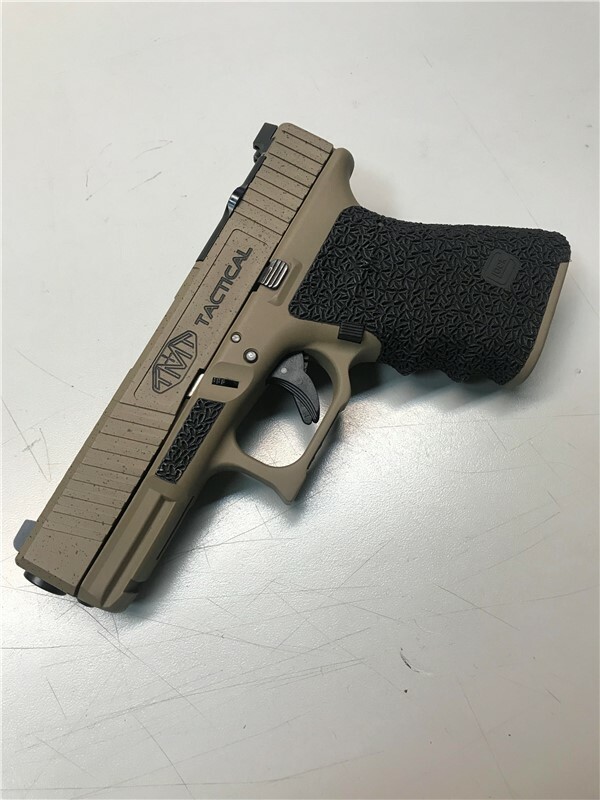 The slide features a beveled front, Signature series cocking serrations and milling, a barrel window on the top of the slide, a cut for a Trijicon RMR and Trijicon HD sights. 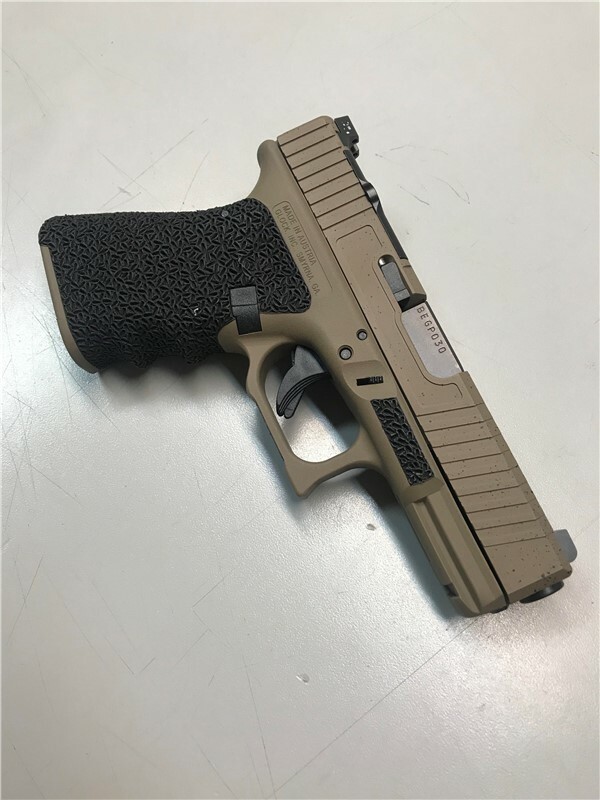 The frame boasts a beautiful hand-done stipple job, trigger work, weak-hand cut trigger guard, and a epoxy-filled reduced back-strap.